High frequency of bad calls by referees due to the lack of a formal and systematic training program that raises the overall skill level, and sets objective and transparent criteria for referee promotion. The current grassroots based training produces inconsistent skills development for referees. The randomness of across the board tournament fee increases in 2018/2019 for tournaments (NACs especially) that are already very profitable. The proceeds of these fee increases are being used to fund an extremely narrow range of international related activities that have no immediate benefit to our fencing children. The petty and unnecessary imposition of entry fees to NACs, which are already very profitable and completely self-funding. The money raised from entry fees are again being used to fund an extremely narrow range of international related activities that have no immediate benefit to our fencing children. The selection of inconvenient locations for NACs that are very expensive to get to, thereby imposing additional flight and hotel costs on fencing families plus extra time out of school and work wasted on travelling to these inconvenient locations. These inconvenient locations offer US Fencing cheap venue rentals, enabling US Fencing to keep its venue rental budget to 2% of its overall expense budget, at our expense. This is particularly egregious given how profitable the NACs are. US Fencing’s actions on this front have made fencing significantly less affordable for many promising fencers. The lack of financial support for promising cadet and junior fencers who travel to designated international tournaments as representatives of the United States, leaving the entire burden of funding to the parents regardless of financial ability. In its neglect of these high potential young fencers, US Fencing has closed off opportunities to fencers whose parents are insufficiently affluent, or who are unable to muster the resources to pay for these very expensive international tournaments. All of these issues have their roots in decisions taken by the Board and its’ appointed Budget Committee to suppress US Fencing’s own expenses while raising costs for rank and file fencers in order to fund a range of international related activities that appear to primarily benefit the 24 members of Senior Team USA and no one else. These Board decisions do not align with the best interests of our fencing children, neither are they fair relative to the overall composition of US Fencing’s membership. While support for the 24 Senior Team USA members is a very worthy goal, money for this support must come from more diverse sources, and not primarily from parents of fencing children. There are many worthy goals that US Fencing must fund, and the Board must urgently step up to its fundraising role. With Board elections coming up later this Spring, we must pay close attention to who is running for a Board seat. We should ask some hard questions. Does that person possess the leadership, vision and skills to help drive the achievement of US Fencing’s stated missions and purposes for the benefit of the US Fencing membership overall. Is that person worthy of our support? Those of us who are Supporting members should vote to ensure our children’s interests are represented, and our voices heard. It is especially important to realize that it is parents who keep the entire fencing eco-system going. The more than 13,500 competitive fencing members under the age of 18 pay more than 40% of all membership fees, and substantially more than that in NAC fees. With few exceptions, coaching fees that sustain clubs and coaches are paid almost entirely by parents. Ditto for the equipment vendors. Our children’s best interests in fencing are definitely our business, and we must make that known. The numbers say it all! Our children form the majority of US Fencing’s membership. More than 60% of the membership of US Fencing is under the age of 18, with another 7% though older, still dependent on financial support, and presumably other forms of support from their parents. 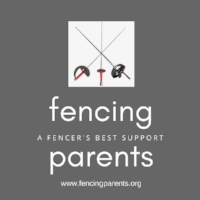 It is incumbent on parents to collectively pay attention to what is going on at US Fencing, and to determine if the actions of US Fencing’s leadership aligns with the best interests of the majority of its membership, that is, our children’s interests. What Is US Fencing’s Raison D’etre? US Fencing’s reasons for existence are spelled out clearly in its mission statement and in Article II of its’ Bylaws. The ability to fulfill its’ mission is very much dependent on whether the US Fencing Board has the vision, leadership and resources to do so. All 5 of the major issues we identified tie back to the question of whether the Board’s decisions align in spirit and intent with US Fencing’s mission, and whether these decisions were made to serve the best interests of the broader US Fencing membership. These responsibilities include making, interpreting and enforcing the rules governing the sport of fencing, including rules issued by the FIE. US Fencing’s rule making responsibilities include the Athlete Handbook, USFA Rule Book and the Operations Manual. US Fencing organizes national competitions (NACS and national championships), and provides the framework for regional qualifying tournaments and local tournaments, which collectively provide competitive opportunities for fencers of all abilities. Tournament organization has always been a profitable business for organizers at all levels. The real problems, though, are rooted in how US Fencing carries out these responsibilities. US Fencing’s Board and Budget Committee have given in to temptation to use the NACs as “cash cows” without regard to the appropriateness of charging high tournament fees and entry fees paid mainly by parents of minor children. The NAC surpluses are used to almost exclusively to support 2 causes, the 24 Senior Team USA members, and the funding of deficits generated from hosting World Cups and Grand Prix tournaments in the US. As already pointed out, US Fencing provides consistent financial support to the 24 Senior Team USA members, and no one else. The 42 Cadet and Junior fencers who qualify for the Cadet and Junior World Championship have their personal travel costs covered by US Fencing. Their parents pay for strip coaching, their personal coach’s travel costs, and of course, all of the year round training that culminates in the qualification to represent the United States at the international championship. Cadet, Junior and Senior fencers who are not one of the 24 Senior Team USA members pay for their own training and for their own travel expenses when they compete internationally. The costs for travel to international tournaments for the fencer and personal coach can amount to $5,000 per tournament. The numbers add up very quickly and place a heavy financial burden on the parents. US Fencing’s support for these fencers is very limited and exclusionary. This is a total fail on the part of US Fencing. The lack of a formal and systematic training for referees fails the fencers and the individual referees. The skills required to promote the sport of fencing include strong marketing skills to create programs that reach a wide audience, strong public relations skills that can harness the power of media to spread the word, and strong business support for clubs and coaches so that they can effectively spread the word at the grassroots level. Providing scholarships to fencers whose parents cannot afford the high costs of fencing will definitely widen fencing’s reach to a much bigger audience. Most importantly, US Fencing must stop raising fees and creating situations that impose higher costs on fencing families. These are big turnoffs, and detract from the promotion of the sport of fencing. The near 20% decline in the Division 2 and Division 3 fields at NACs and the almost 19% decline in number of fencers on the Division 1A and Division 2 Regional Points List in 2018/2019 compared to the prior year bear out the issues raised by a number of clubs that the tournament fee increases have served to systematically push out the recreational fencer from national and regional qualifying tournaments. Total Division 2 and Division 3 participants in 4 NACs (October, December, March and April) totaled 2,841 in 2016/2017, 2,681 in 2017/2018 and 2,161 in 2018/2019 manifesting a clear downward trend. Total number of fencers on the Division 1A and Division 2 Regional Points List was 2,392 in 2016/2017, 2,276 in 2017/2018 and 1,958 in 2018/2019, again manifesting a clear downward trend. We estimate that there is growth in the events that award national points, and growth in non-competitive memberships from high school club fencers. However, the declining numbers in Division 1A, Division 2 and Division 3 events bear out a scenario that seems counter to the purpose of promoting the sport of fencing in the US, by pushing out a demographic that had been quite engaged in the sport of fencing with a higher spend per capita than high school club fencers with non-competitive memberships. A clearly thought out and well executed strategic plan would certainly stem any membership and participation leakage. The several clubs and coaches that Fencing Parents spoke with at length felt quite strongly that US Fencing did not provide adequate support. Provide assistance and support to other organizations that promote fencing or conduct fencing competitions in a manner consistent with the purposes, goals and means of the USFA - No comment. Does this include hosting the money losing World Cups and Grand Prix tournaments in the US? who has the power to fulfill mission and purpose? According to Article VII of the Bylaws, the Board of Directors is vested with the full powers and responsibility for the management and policies of the USFA, subject to these Bylaws. So the responsibility for all successes and failures in accomplishment of mission and purpose land squarely on the Board of Directors. All non-profit Boards, including the Board of US Fencing, have primary responsibilities that they must carry out in the furtherance of the organization’s mission and purposes. Strategic Planning - set the strategic direction and develop a strategic plan to realize the mission and purpose of the organization. The strategic plan should identify the resources required to execute the plan. Hiring the Executive Director - the Board’s next big responsibility is to hire a strong Executive Director, and to fully empower that person to execute the strategic plan, with Board oversight at a strategic level. The Board holds the Executive Director accountable by setting objective performance standards reviewed annually, and replacing the Executive Director if performance standards are not met. Without a strategic plan to execute, the Executive Director is not empowered to lead the organization. Provide Proper Financial Oversight - these responsibilities include the proper development of a budget and ensuring that proper financial controls are in place. an Audit Committee to provide financial oversight. The Audit Committee comprises a total of 5 members, including 2 Board members and an athlete who must meet the qualifications of Athlete Director. Ensuring Adequate Resources - this is one of the most important functions of any non-profit Board, which is to ensure that the organization has adequate resources to achieve its mission and purpose. The current sources of funds for US Fencing, including membership fees and NAC surpluses (after all NAC related expenses) are not enough to facilitate the achievement of US Fencing’s mission and purposes. It is abundantly clear that the US Fencing Board must do a whole lot more to raise money so that US fencing can fulfill its mission and purposes. The current fundraising level at $67,000 annually is totally inadequate. The current Board needs to rise to the challenge of raising substantial funds, or bring on Board members who can do so. Fencing Parents’ has addressed the urgent need for the Board to raise funds in its article NACs Will Generate an Estimated $1.9 Million Surplus This Year, So Why Did US Fencing Raise Event Fees? In the article, we pointed out that NACs are the single largest source of cash funds for US Fencing (more than 50%), followed by membership fees as the next largest source of cash funds. NACs fees and membership fees combined represent more than 75% of US Fencing’s revenues (cash and in kind), and all of US Fencing’s cash surplus of about $3.2 million for 2018/2019. Aside from US Fencing’s operating expenses, we should take note that the surplus is spent on activities that are heavily focused on international competitions at the Senior level primarily benefiting the 24 Senior members of Team USA. The rest of US Fencing’s mission and purposes are left without adequate funds. US Fencing’s Board has fallen short in its responsibility to ensure adequate resources to achieve US Fencing’s mission and purposes. In Part 3 of this series, we will discuss how several smaller non-profit fencing organizations have successfully raised substantial amounts of money, and how US Fencing can adapt and follow these examples of leadership and vision. Who Should be on the US Fencing Board? The selection of Board members should be driven by the needs of the non-profit organization. While a non-profit does not make profit like a business corporation, a non-profit entity can only thrive with a sound business plan and sustainable and reasonable sources of funding. With US Fencing, the Board’s composition must reflect the multi-faceted needs of the organization. Before we can determine what the US Fencing Board should look like, let’s sit back for a moment and imagine what should be factored into a strategic plan based on the mission and 9 purposes that US Fencing must fulfill. We will address these questions in Part 2. This article is Part 1 of the Food for Thought Series discussing the role of the US Fencing Board, its responsibilities to the fencing community, and whether the Board is equipped to meet the needs of the community in 2019 and into the future.